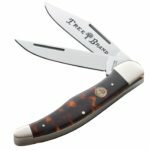 If you are planning to purchase a pocket knife anytime soon, it may be important to learn how many types of pocket knives out there. Pocket knives are a type of knife that may be conveniently placed in the pocket or in a purse. This knife is ideal for very basic cutting, slicing, sharpening and may also be used for simple projects. A pocket knife may also be used for defense. You can learn self-defense techniques using a folding knife or a flick knife from a professional so you may carry it for security anywhere you want to. And if you are looking for this type of knife, you may need to learn how many types of pocket knives out there so you can effectively choose the right one. Slip-joint pocket knives – this uses a spring to open the knife out; you need an adequate amount of pressure to hide the blade away. Lockback pocket knives – a rolling lock plate holds the blade once it has been opened. To hide the blade, pressure must be applied on the lock. You may need to use both hands to close the knife. Frame lock – or liner locks, uses the same mechanism as a lockback however you may only need to use one hand to close the knife blade. 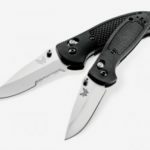 Clip point – these blades have a clip at the front, the points are very sharp and will be the best one to choose if you are looking for a pocket knife meant for self defense. Drop point – one side of this knife is sharpened while the other one is not creating a curve along the point of the blade. Ideal for cutting and slicing but may not be as sharp as clip point pocket knives. Gut hook – has a distinct style of blade that has a sharp semi-circle removed from the spine of the blade. This kind of blade has a large cutting edge which is ideal for hunting and skinning game. Spear point – the blade of this knife is symmetrical and has a point located at the middle of the blade tip. This kind of knife is ideal for slicing or cutting. 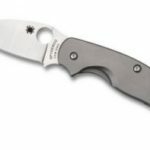 If you are shopping for pocket knives the best place to look for the most suitable design and brand is online. 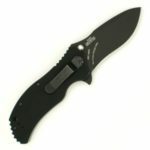 And according to a popular online shopping site, the most popular pocket knife is a Gerber 22-41830 EAB Pocket Knife. 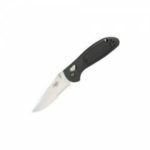 Also called the “Exchange-A-Blade” this knife is compatible with a standard grade utility blade with its linear lock safety feature. It is only 4.1 inch long and only 2.4 inch when closed. 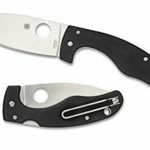 Check this pocket knife out online. It is available for less than $12 online. Learning how many types of pocket knives out there will help you determine which style, type of blade and brand will work best for you. Compare one product from another so you can get more out of your budget.